Photosynthetic, almost exclusively aquatic, nonvascular plants that range in size from simple unicellular forms to giant kelps several feet long. They have extremely varied life cycles and first appeared in the Precambrian. 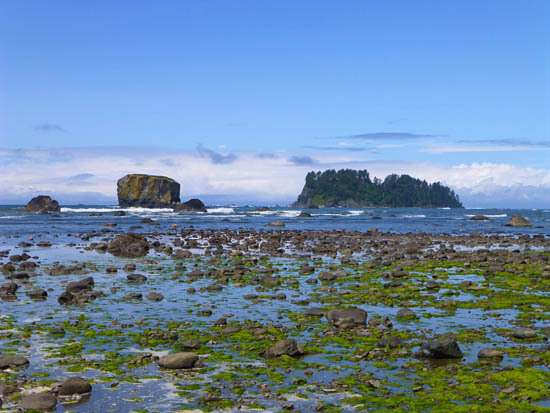 Green algae is an everpresent force wtihin the coastal areas of Olympic National Park.